Many psychologists and psychiatrists are psychoanalytically trained and do not recognize ADHD as a real neurodevelopmental disorder. Make sure that the person you consult is trained in the assessment and treatment of this problem. My 5-year-old cannot stand still for more than a minute! My 8-year-old is a whirling dervish – I feel dizzy going out with her! My son’s teacher is concerned because he has trouble paying attention. My kid daydreams in class all day, and then does not know what to do when the class starts on an assignment. Homework is a battle every day – I just can’t get her to sit down and concentrate! If any of these comments seem familiar to you, you might be wondering whether your child has attention deficit hyperactivity disorder (ADHD). Or, you might have come to France with a diagnosis of ADHD already established and are wondering how to get help here. Perhaps family or friends in your home countries have suggested it but no one here seems to take your question seriously. 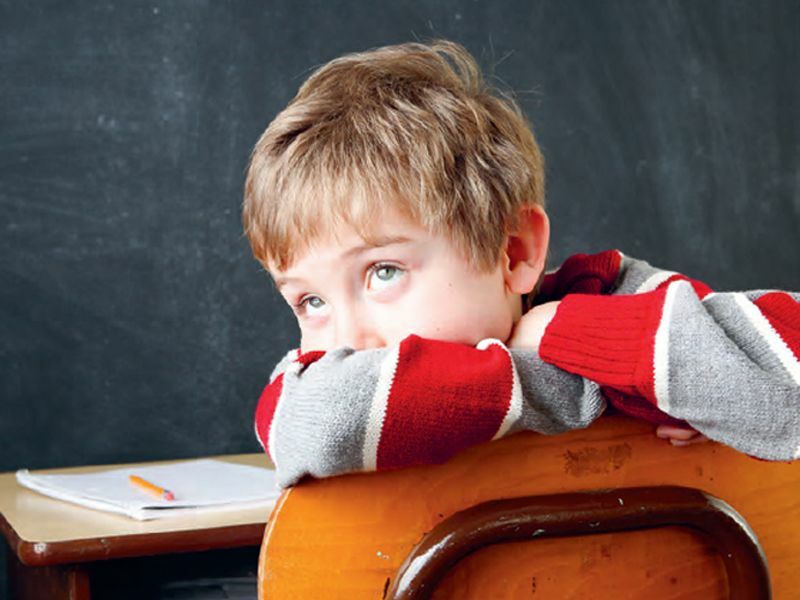 Attention deficit hyperactivity disorder is a fairly common diagnosis for children, with a worldwide prevalence estimated at 5.29 percent of children and adolescents. While it is thought that there is an over-diagnosis of this problem in the United States, in France it tends to be under-diagnosed and often goes unrecognized or mislabeled as anxiety or poor parenting. A very active child or a kid who tends to daydream is not necessarily suffering from this syndrome. To warrant this diagnosis, the child must have a very pronounced difficulty with sustained attention, impulse control and activity level, compared to his or her peers. These difficulties must interfere with his or her life and learning ability to a significant degree. The symptoms need to have been present since before the age of 12. There are three basic “presentations” of this disorder. In the primarily inattentive presentation, children have great difficulty keeping their attention focused for a time and a level thought to be typical for their age. These children are often seen as dreamy or “lost in space.” They may have difficulty paying attention in class and completing homework, following through on assignments or activities, and organizing and structuring work or other tasks. They are often forgetful, lose things and are easily distracted. The primarily hyperactive/impulsive presentation is when a child has great difficulty sitting still or has a level of physical activity that is thought to be significantly greater than the norm. This child is often seen as ”bouncing of the walls,” fidgets excessively, has great trouble waiting his turn, talks excessively, blurts out answers, interrupts conversations and is often seen as disruptive. The third presentation, combined, is considered when a child has trouble with both attention and in controlling hyperactivity/impulsivity. If you suspect that your child has ADHD, you should consult a competent child psychiatrist or psychologist. Many psychologists and psychiatrists in France are psychoanalytically trained and do not recognize ADHD as a real neurodevelopmental disorder. Make sure that the person you consult is trained in the assessment and treatment of this problem. In France, those who have been trained at Hopital Robert Debré in the 19th arrondissement (for their internships) or the AFTCC (French Cognitive and Behavior Therapy Association) generally are familiar with and competent to treat this disorder. The AFTCC has an online referral list of members, their specialties and their locations. You may prefer, especially if you or your child are not yet fluent in French, to consult one of the Anglophone psychologists who have been trained abroad and are usually more adept at assessment, counseling and making appropriate referrals for this problem. A good place to look for such specialists is with the association SPRINT (www.sprintfrance.fr). SPRINT is a multidisciplinary group with specialists of various types who work with children with all kinds of special needs. For French speakers, HyperSupers TDAH France is a large parent support association with a volunteer network established throughout the country. The association website (www.tdah-france.fr) outlines the steps that should be taken to acquire special provisions for your child at school, and your local association volunteer can steer you to the appropriate professionals and parent support group in your region. usually, psycho-educational testing. This will give you a fuller picture of your child’s cognitive abilities, his or her cognitive strengths and weaknesses and academic level, as well as attentional abilities, memory and other areas of functioning. This will help to identify any learning difficulties that might accompany ADHD. If you have gone to a psychiatrist, the testing should be done by a psychologist who is recommended by the psychiatrist. Classroom observation, particularly for children under 6, is common in the United States, and can be very useful. It is commonly not permitted in the French system, even in many bilingual schools. It is done very frequently in the private English language or bilingual schools. Once a diagnosis is made, the psychologist or psychiatrist will discuss treatment options. If there are language problems, a referral to an orthophoniste (speech and language pathologist) might be made. If there are visual-spatial or grapho-motor issues, the child might be referred to a psychomotor therapist. Especially for younger children (under 6), most of the treatment will be in helping parents and teachers adapt their methods of management and instruction to best meet the child’s needs. With older children, this continues to be important (called guidance parentale – parent training), as does individual work with the child to help them understand their difficulties and succeed in overcoming them. That work will most likely be done by a clinical or educational psychologist. If necessary, medication might be recommended and followed closely by a child psychiatrist. The best way to help children who struggle with their behavior is to have a good working collaboration among the parents, the treatment professional (or treatment team if necessary) and the school. You, as parents, should be at the center of this collaboration. While this is not always easy to achieve in France, it is possible. While somewhat behind in their knowledge of ADHD, French professionals are increasingly well trained about both its diagnosis and treatment.